Have you tried every manifestation tool on the market and yet you end up feeling even more frustrated about yourself, your life and your dreams? 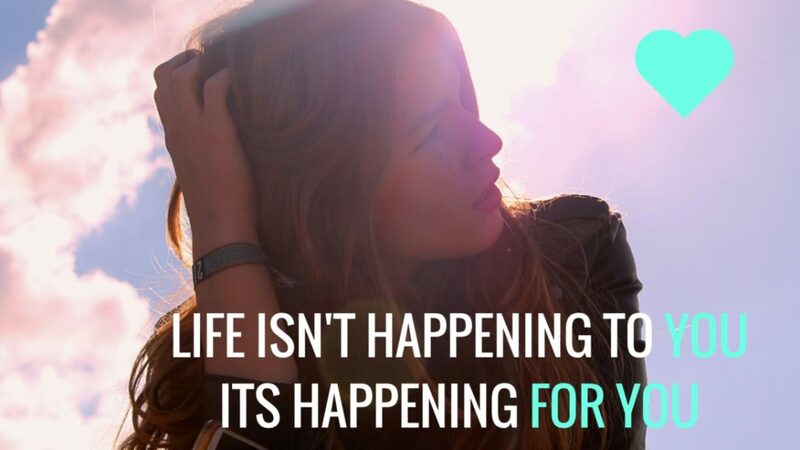 It’s time to step out of the habit of trying to force life and your dreams to happen. Putting your energy in a state of confusion, overwhelm, lack, fear and doubt. Often left believing that you, and your life, are not currently enough, or you are doing something wrong. Say it with me … I AM MAGNETIC …aaaahhhhh feels so good doesn’t it!!! You see manifestation is often initiated from, and limited by the mind. Magnetism flows from going deep within, connecting with your soul and inviting your heart to open wide and fully receive. 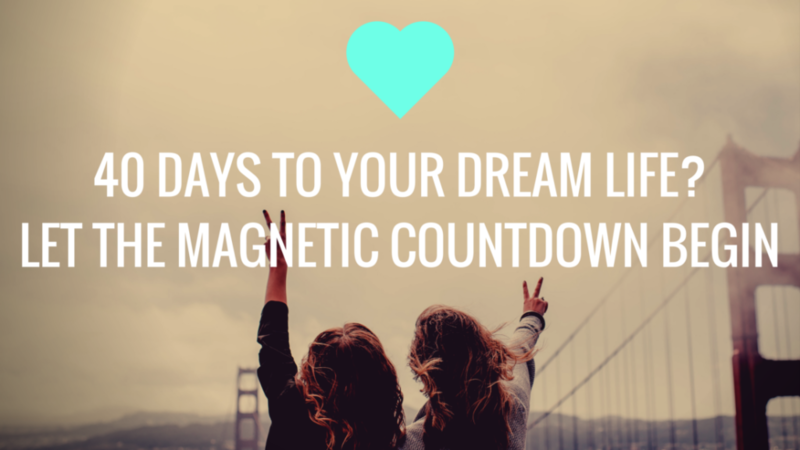 Magnetism is about becoming receptive to your greatest dreams and desires coming into form. You invite, allow, receive and then take consistent, clear, committed action in alignment. It is about trusting, believing and acting as if all you desire is already within you (because if you can intend it, it is already true), as you focus on what is already present, instead of what is missing. 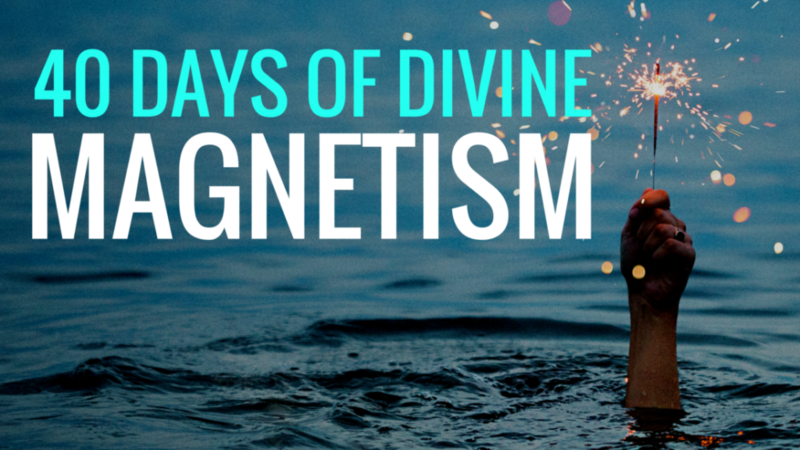 40 days of divine magnetism, takes you on a journey of setting you up for soulFULL success, purposeFULL living and dreams coming true with much less effort. This is your official invite to focus on effortless manifestation, as you begin to learn to enter a place of deep meditation, and invite what you want to come to you. AS WELL AS THESE BONUS RESOURCES & GIFTS!